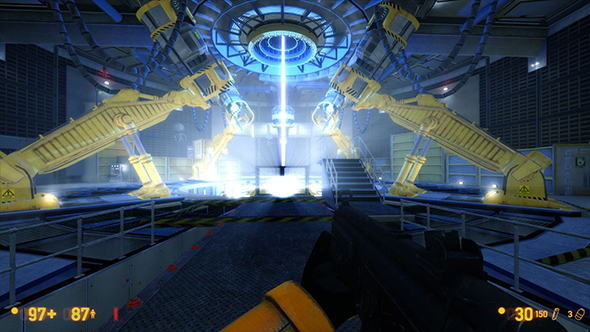 Black Mesa – the fan-made Half-Life remake that became a commercial product – has had a long-delayed path to completion, and that wait got even longer when the team announced that the Xen levels wouldn’t be making it out in 2017 after all. Instead, the base game would be getting a fancy lighting update. Now that update is here. That update allows for dynamic lights, lens flares, overhauled cascade shadow maps and godrays, image based ambient lighting, improved blood particles, a new crossbow scope, and much, much more. You can see full patch notes on Steam. The version of Xen currently in development features 14 maps spread across five chapters, and each of those maps are “significantly larger” than the originals. Each of the chapters have their own theme and artstyle, and they’re being developed in parallel. Whether you want to play Black Mesa in its current state or wait for the ultimate release, you might want to consider hopping on it now, since it’s 75% off as part of the Steam winter sale. That puts it at $4.99 / £3.74 / €4.99, the cheapest price the game has yet seen.